Talon Rodenticide baits from Syngenta are an extremely effective crop protection device and an easy way to control rodents. Infestations need to be controlled to reduce the risk of disease and damage to property. It is important that such products are used correctly and care taken to prevent children, pets and wildlife, from gaining access to the baits. The following guidelines will assist users of rodent baits to control rodent infestations in the most safe and effective manner. This information does not replace the product label directions. Before using any rodenticide, please read the product label and follow all the label directions. Your primary aim should be to avoid the problem. Hygiene and prevention are key factors in satisfactory rodent control. Simple measures such as clearing away rubbish. Reducing potential food sources and rodent proofing of buildings can be effective in stopping the problem before it occurs. Around the home, fill holes and gaps greater than 6mm in diameter around plumbing fitting/fixtures in the kitchen, laundry, and bathroom. Weather-strips should be applied under doors. Control tactics differ slightly for rats and mice – hence once the rodent problem is established it is important to identify the pest. Rodent droppings are often the best identification. Mouse: Droppings are small, rod shaped, usually 3 to 6mm long. Rat: Droppings are usually either spindle or capsule shaped and are much larger at 12 to 20mm. Potential risk factors such as presence of children, livestock, pets and wildlife. The two most common bait types are pellets and wax blocks. Talon Pellets from Syngenta are highly attractive to rodents and may be used in a variety of situations. 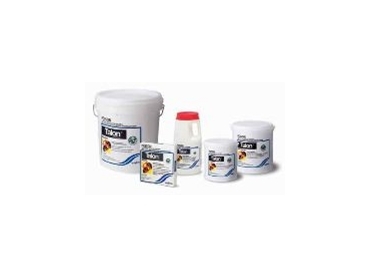 Talon Wax Blocks from Syngenta are more durable and can be used in moist areas. Many wax block products can be fixed in position. They are suited for use in areas where it is important that the bait is not scattered by rodent activity. Bait Placement: Bait should be placed in areas of rodent activity. Rats: use 1 to 3 blocks at intervals of 5 to 9 metres in infested intervals. Mice: use single blocks positioned closer together; at 2 to 3 m intervals. inside a length of pipe (secured in position) or beneath timber or furniture. The placement of bait within a tamper resistant bait station is highly recommended. Please not that pellets and wax block baits that are not fixed in position may be moved by rodent activity. In areas where such activity could result in children or non-target animals accessing the bait, the use of a tamper evident bait station or wax blocks fixed in position is recommended. Record both the location of the bait positions and the amount of bait used to assist with the monitoring of the baiting programme. Inspect bait positions every 1 to 2 weeks and replenish eaten bait as necessary. Continue baiting every 1 to 2 weeks until all feeding activity has stopped. Do not replenish bait more frequently than once per week as rodent death will occur normally 4 to 7 days after bait consumption therefore more frequent bait replenishment is not necessary. You should endeavour to control the problem using as little bait as possible to ensure bait is not wasted and the risk on non-target exposure is minimised. For further information please contact the Syngenta Technical Advice Line – Freecall 1800 067 108; Freefax 1800 805 871 or visit www.syngenta.com.au. In the case of an emergency – for specialised advice contact 1800 033 111 (24 hours – Orica SHE Shared Services.